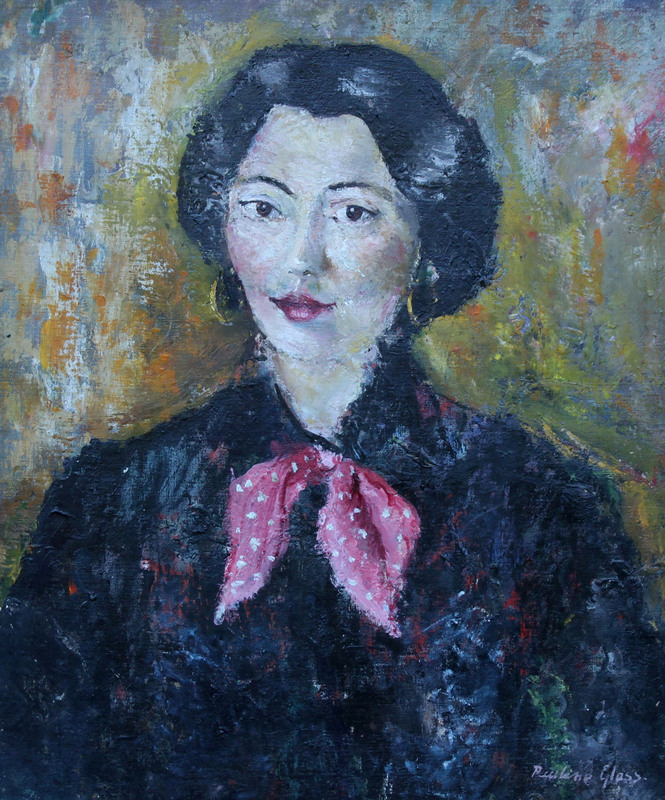 An original oil on canvas by Pauline Glass who was educated on the continent at the Academy Julien and who exhibited throughout her career. This stunning oil is a bold, adventurous and confident portrait of a woman by a very talented and underrated British listed artist. Comparisons with Joan Eardley and Anne Redpath are not far away and this is an expressive delight. 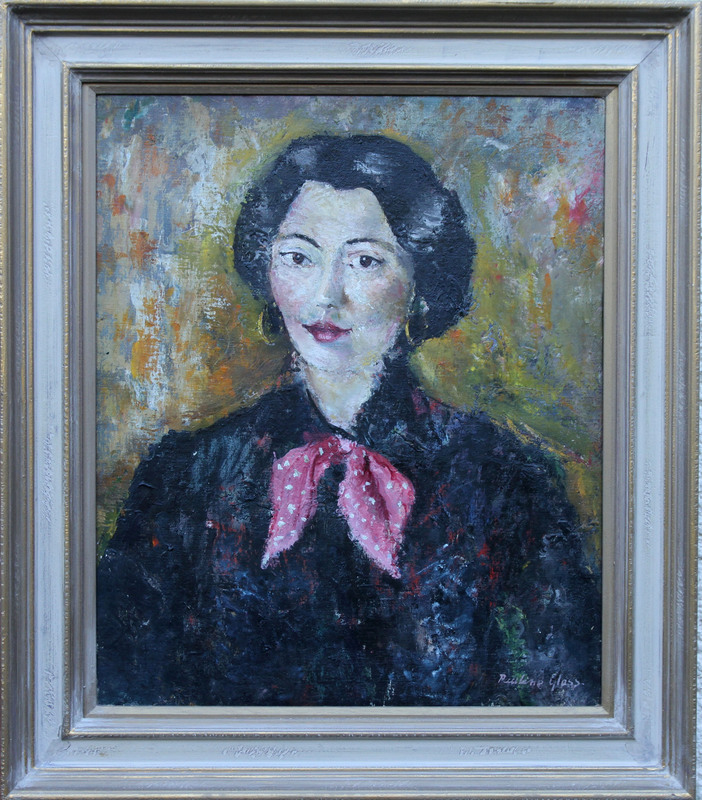 Painted in 1957 and in fine gallery condition. It has been exhibited and retains the exhibition transit labels verso. Signed top right and dated 57. Housed in a wood period gallery frame. 38 inches by 33 inches. Excellent condition.